Home › Electronics › Outdoor Tv Cover Grey Weatherproof Universal Protector For 40'' - 42'' Lcd Le.. Outdoor Tv Cover Grey Weatherproof Universal Protector For 40'' - 42'' Lcd Le.. 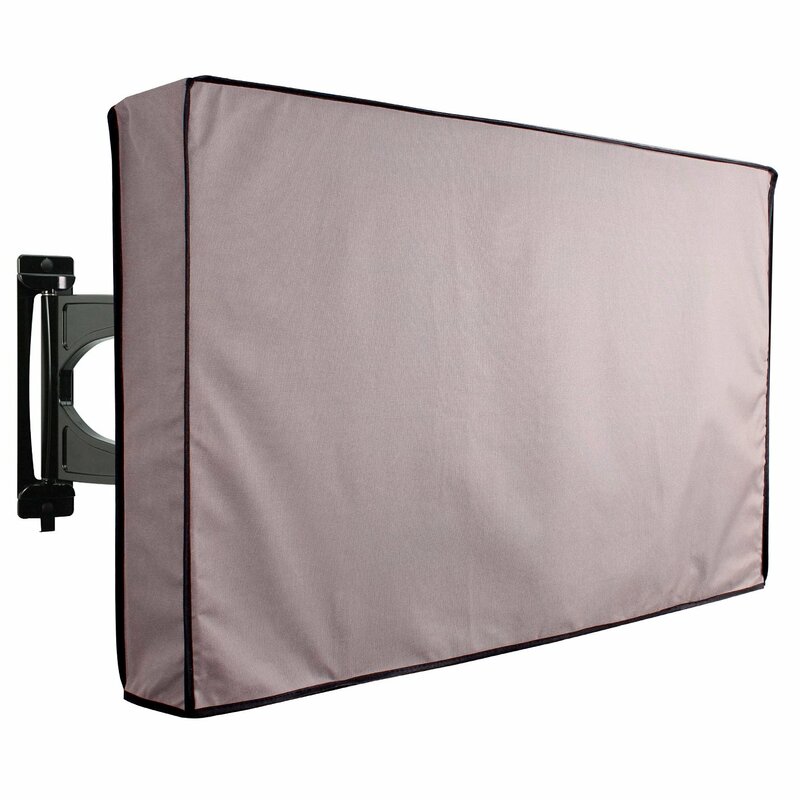 Size:40'' - 42'' Â |Â Color:Grey Whether you decide to put a television on apatio, an outdoor deck or by the pool, this KOHMO GEAR TV cover provides allseason protection for your valuable flat panel TV. Engineered to withstand theharsh conditions from the tropical north down to the cooler south, you canrest easy knowing your TV is protected all year round against dust, insects,UV Rays, ice and condensation with a television cover. Our television cover ismade of a unique material that allows it to 'breathe' whilst keeping outwater, wind and moisture. What this means is that mould and moisture does notbuild up underneath the cover due to the change in the ambient temperature orhumidity. As a result, your TV is not damaged and rendered inoperative due to'sweating'. A softer internal lining and a handy remote control pocket meansyou have the ideal cover to enable your TV to be protected 365 days a year!Protect your television to ensure your equipment is ready to use at any time -in winter or summer!